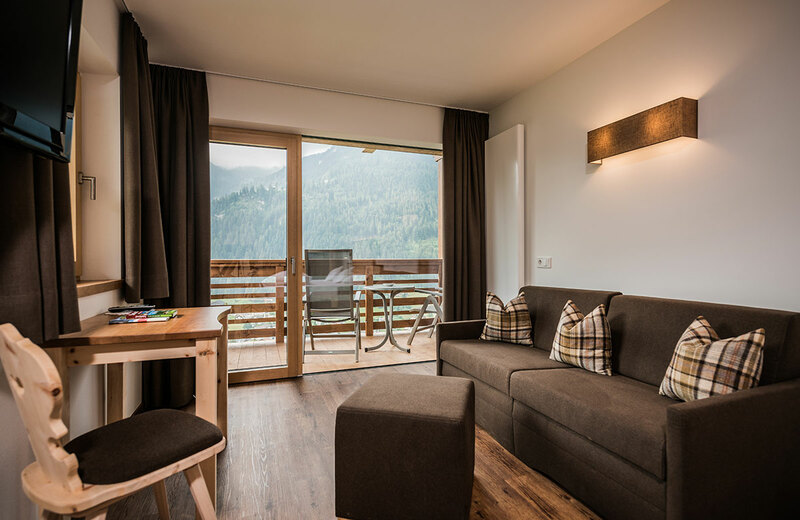 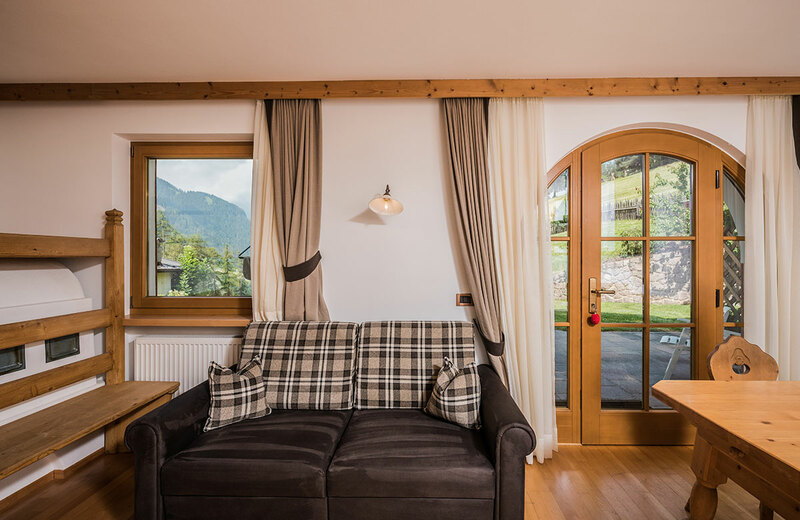 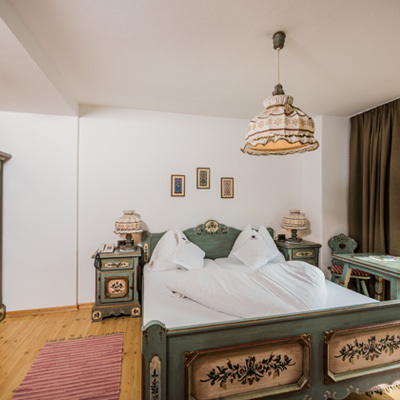 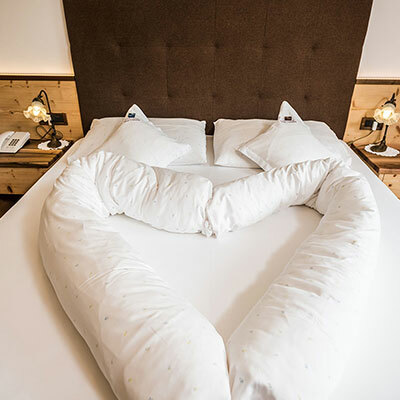 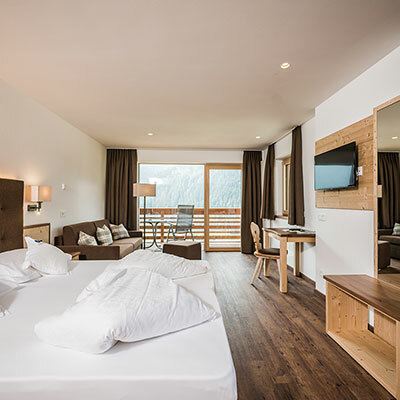 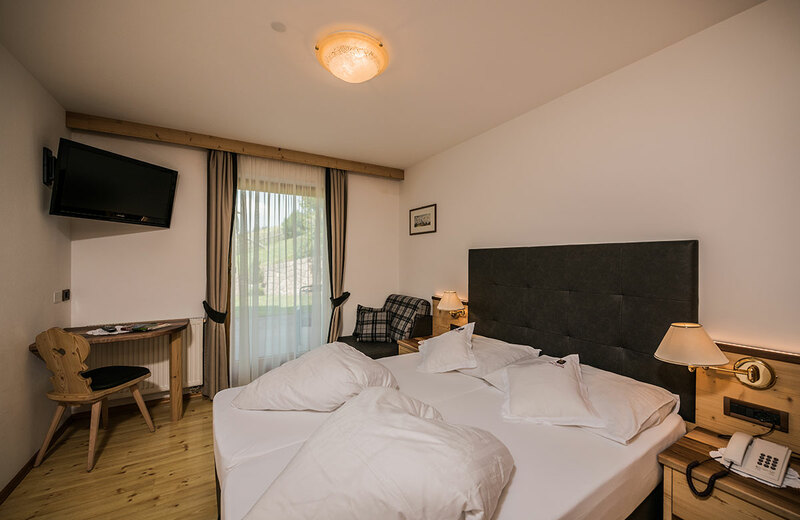 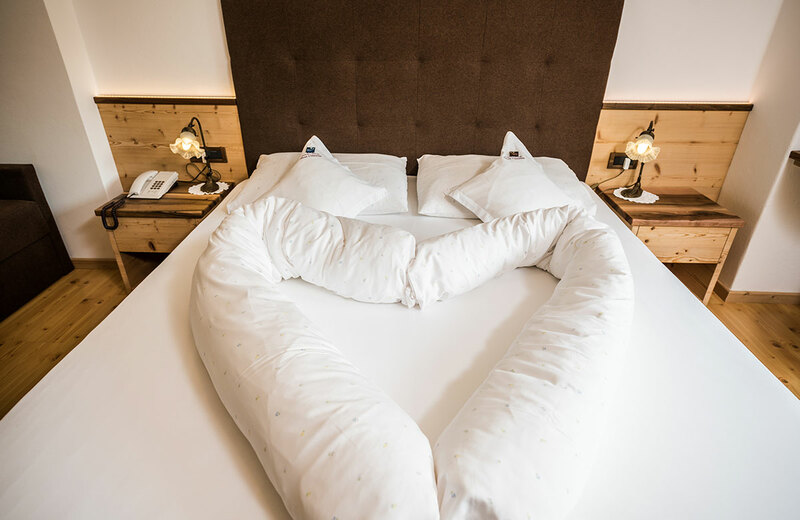 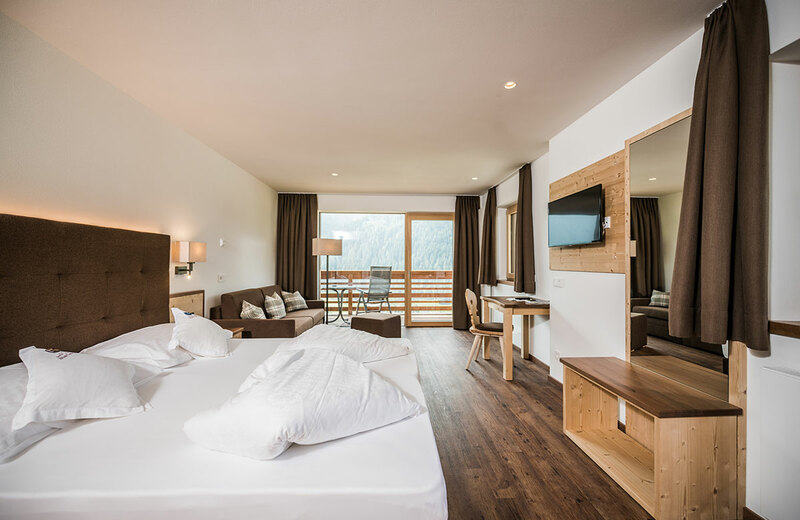 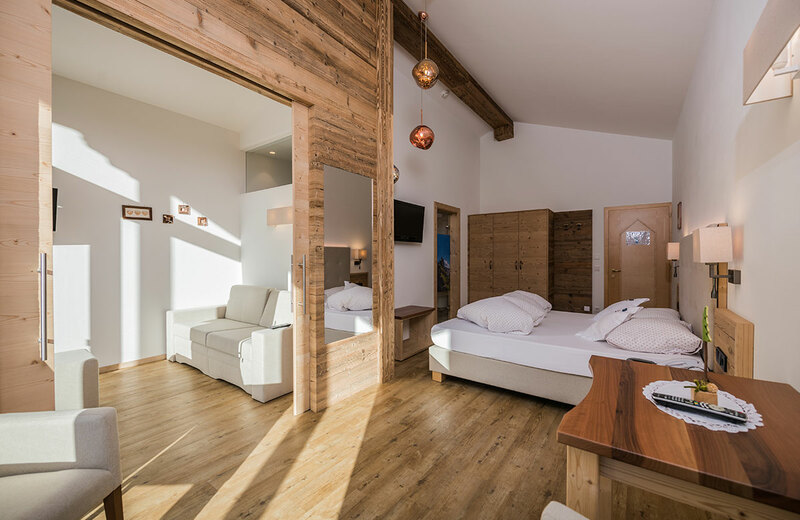 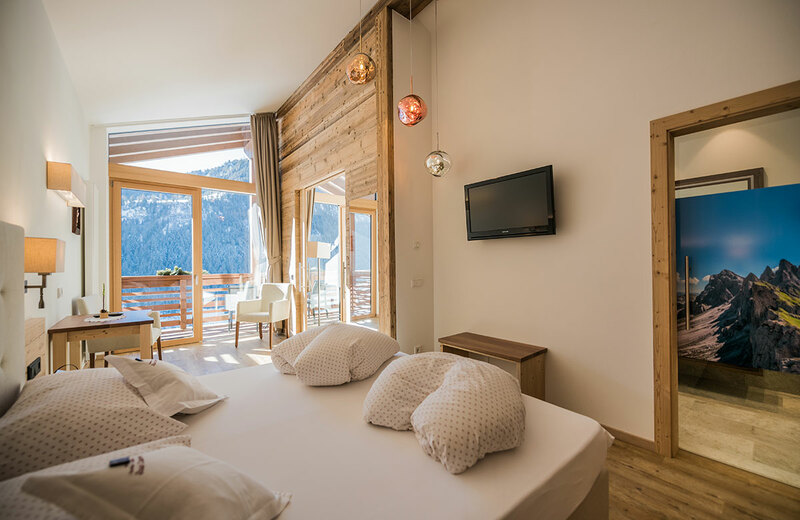 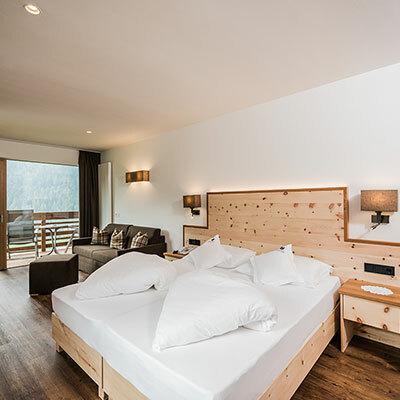 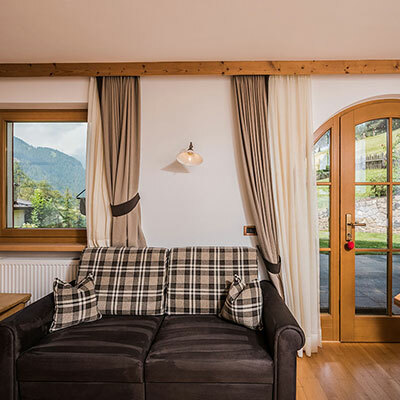 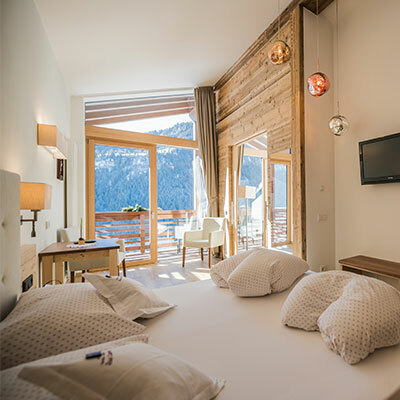 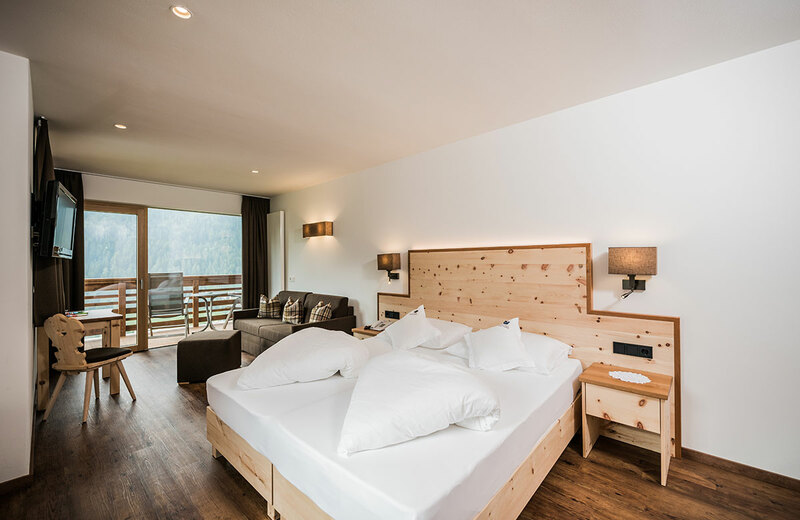 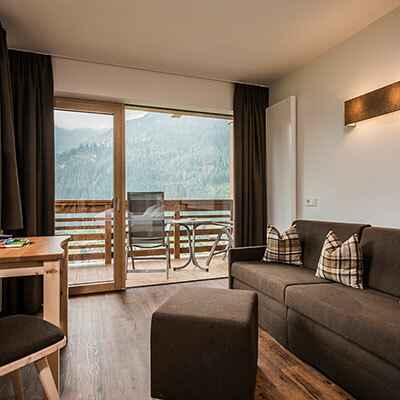 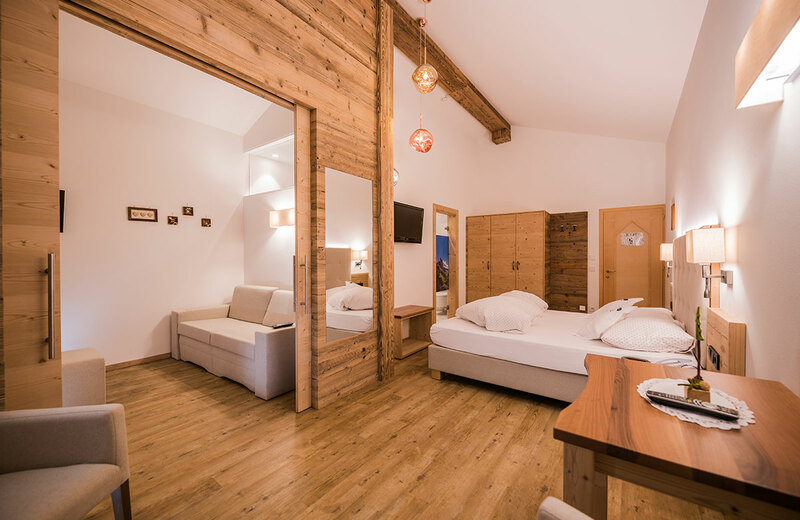 In 2017 and 2018 all our rooms have been renovated and enlarged offering the perfect atmosphere for relaxing days in the UNESCO World Heritage Dolomites. 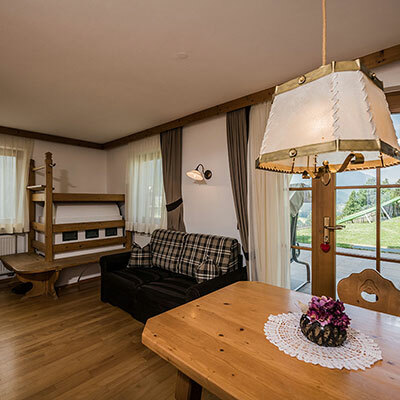 Amply and cozy, appointed with a double bed, a bathroom including shower and toilet and a balcony with panoramic view. 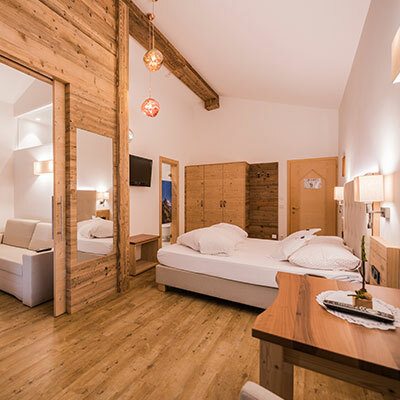 These 23 sqm rooms are provided with flat screen satellite TV and free WI-FI access. 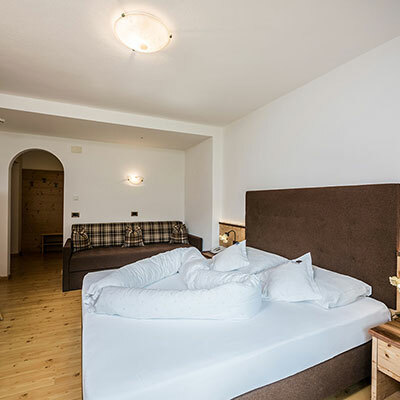 Spacious 29 sqm rooms appointed with a double bed, a pull-out double sofa bed, a bathroom including shower and toilet and a private balcony overlooking the Sassolungo. 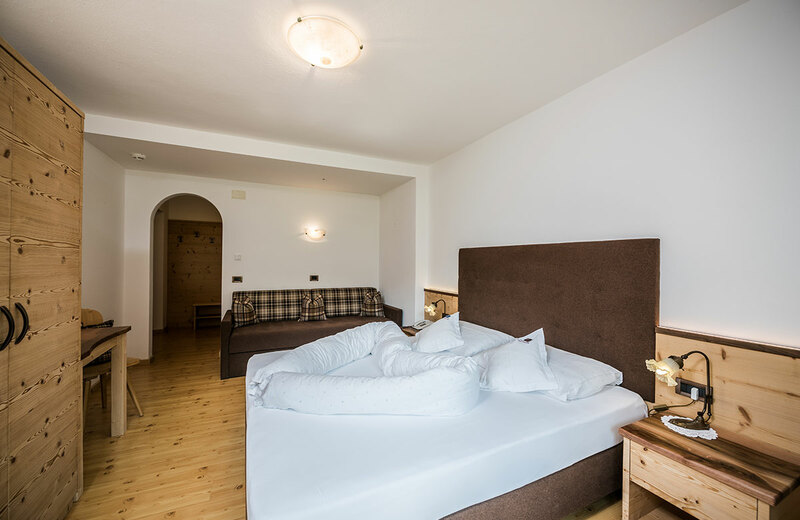 These rooms are provided with flat screen satellite TV and free WI-FI access. 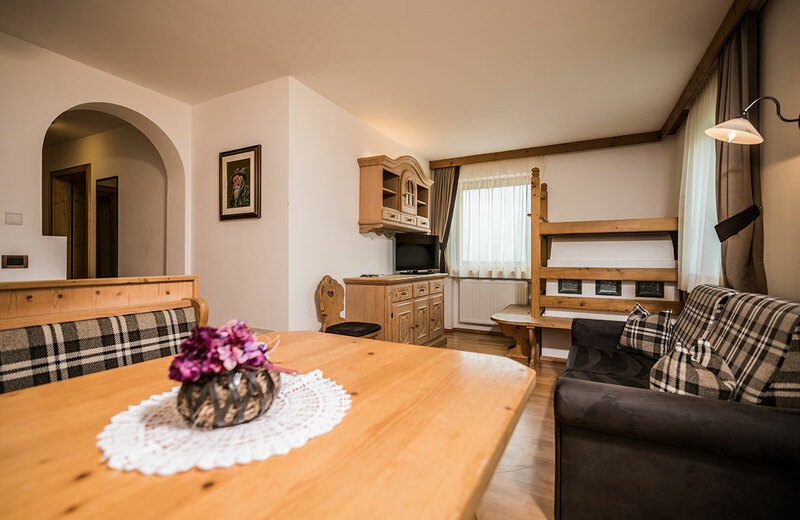 The perfect choice for everyone who needs a lot of space: Double room with a separate second bedroom appointed with a sofa double bed. 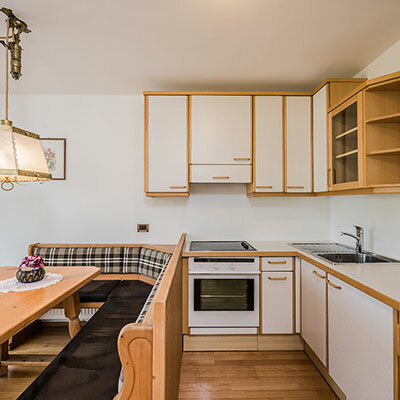 Bathroom including shower and toilet. 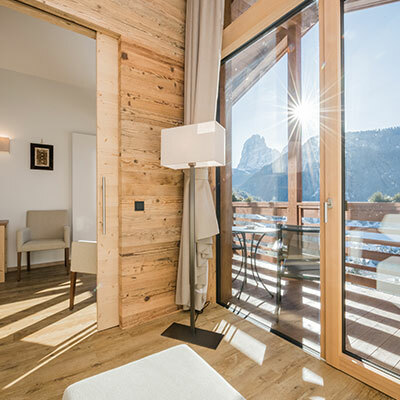 Private balcony. 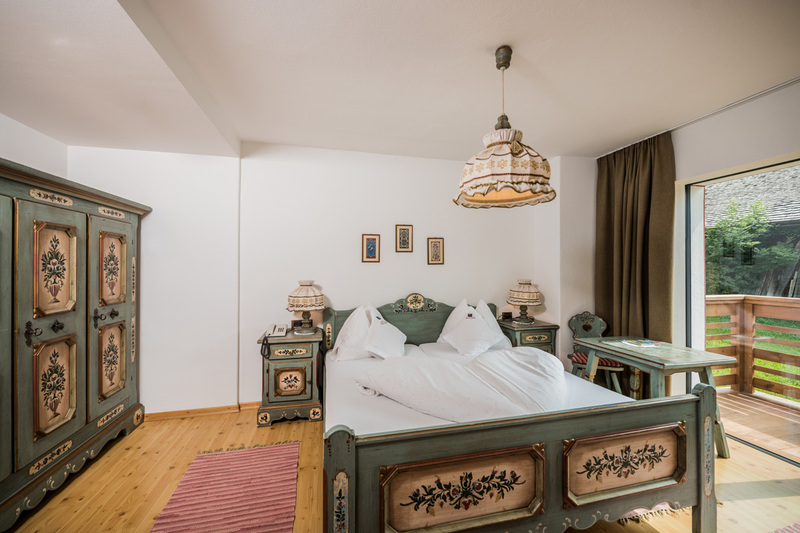 These 36 sqm rooms are provided with flat screen satellite TV and free WI-FI access. 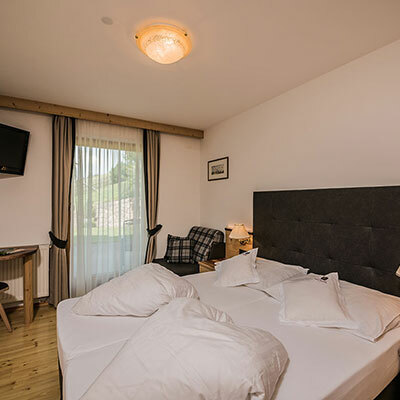 Amply and cozy suite made up of two separate bedrooms, one provided with a bathroom including toilet and washbasin. 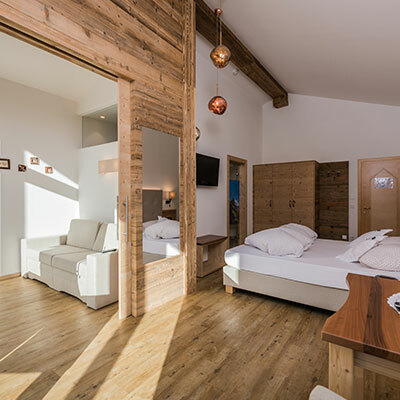 The second room has a bathroom with shower and toilet. 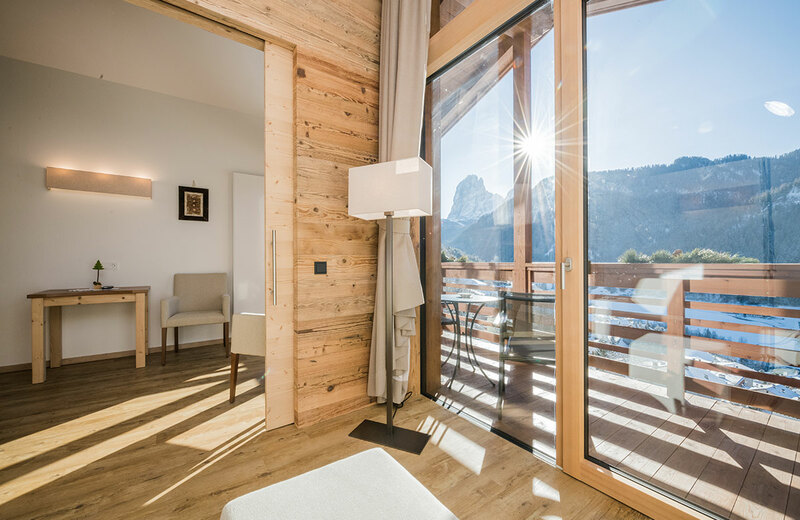 Direct access to the garden from the suite. 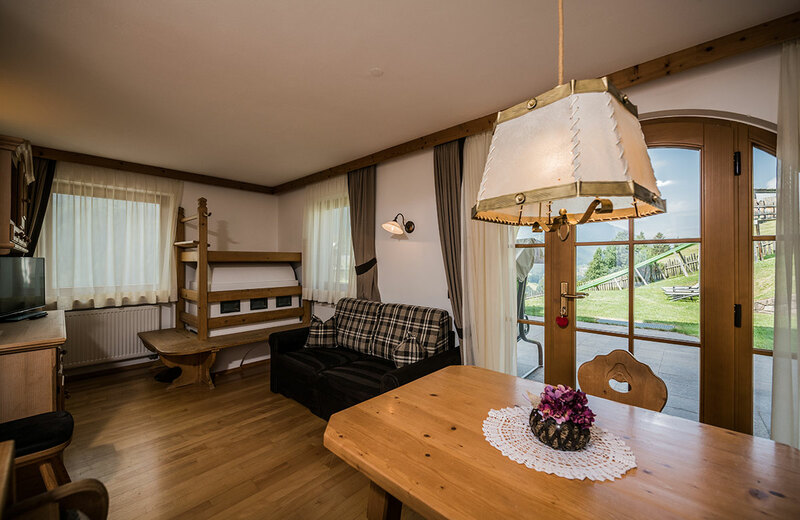 This 40 sqm suite is provided with flat screen satellite TV and free WI-FI access. 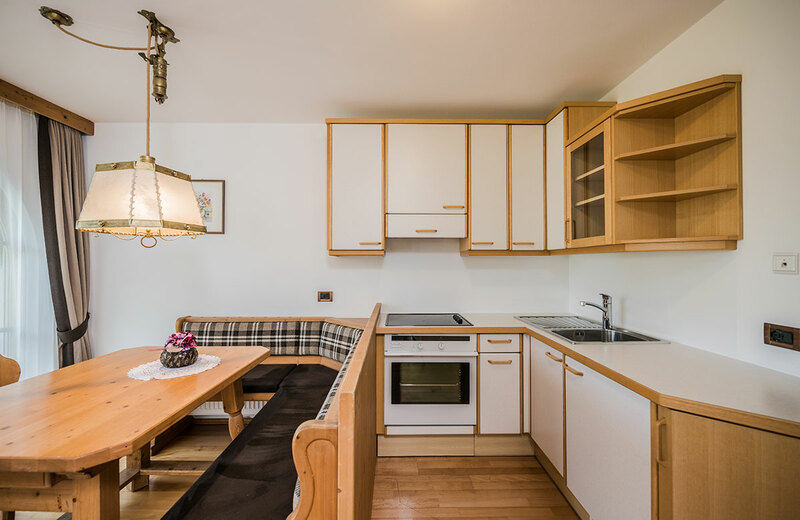 The ideal solution for families: Cozy apartment with direct access to the garden and provided with a traditional oven and a small kitchen. 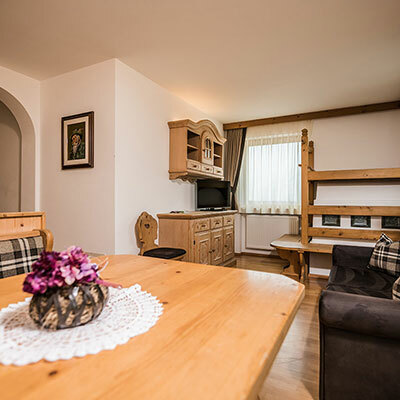 This 36 sqm apartment includes a double room and is provided with a double sofa bed, a bathroom including a bathtub and flat screen satellite TV and free WI-FI access.